It looks at first glance to me a feature of the security paper, creating a pattern when copied; however, I don’t know why it hasn’t been seen before. I tried a few things and couldn’t get any pattern to show myself. Still, it seems most likely security paper working as designed. What else could it be? 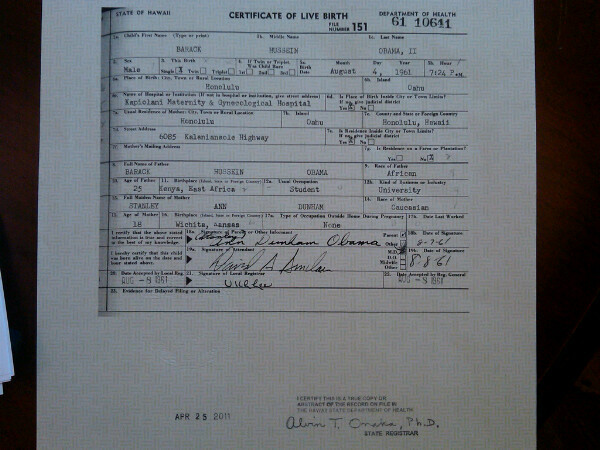 The certificate itself is the April 25, 2011 certificate, and one can tell that it’s from the same original as the White House PDF because of the identical relative placement of the date stamp and the registrar’s signature stamp on the bottom. This the same silliness that we saw when the Mississippi Democratic Party submitted a copy of the White House PDF in a brief, and the birthers went ape-dip about the artifacts being different after it was reprocessed for the court filing. The occasional open thread: Cowabunga! Put your Obama Conspiracy comments not related to the current articles here. Comments on this thread will close in two weeks. I don’t think I have ever mentioned Linda Joy Adams in an article before1. She is a prolific blogger who has a unique take on Barack Obama’s birth place. She believes that Obama was born in Topeka, Kansas. 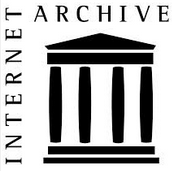 I was in Topeka, Kansas, about 20 years ago, installing some software on and IBM System/38 that served the County (Sedgwick County, if memory serves me right). About all I remember from that trip was discovering a peculiarity about IBM 3277 terminals connected to a remote controller differing from ones connected to a local controller. 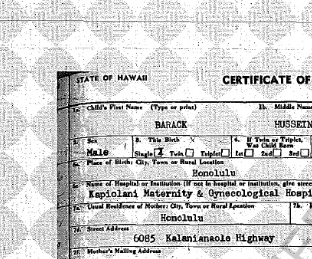 Spent time posting comments on various articles on line about the multiple versions of the Hawaii Birth certificates showing up at the Alabama Supreme court case on Ballot eligibility on President Obama. 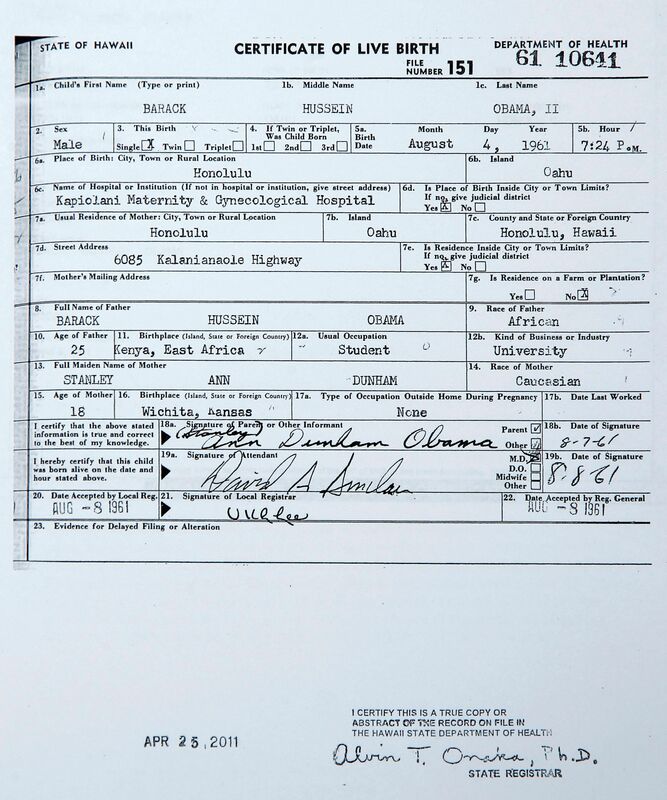 Personally I don’t think he ever had anything but the notice of birth generated from a Phone call either pretending to be the hospital, or since there is an eye witness who saw Stanley Ann on a list of births, someone may have added the name to the births to be called in both to the county for the Notice of birth and to the newspapers. 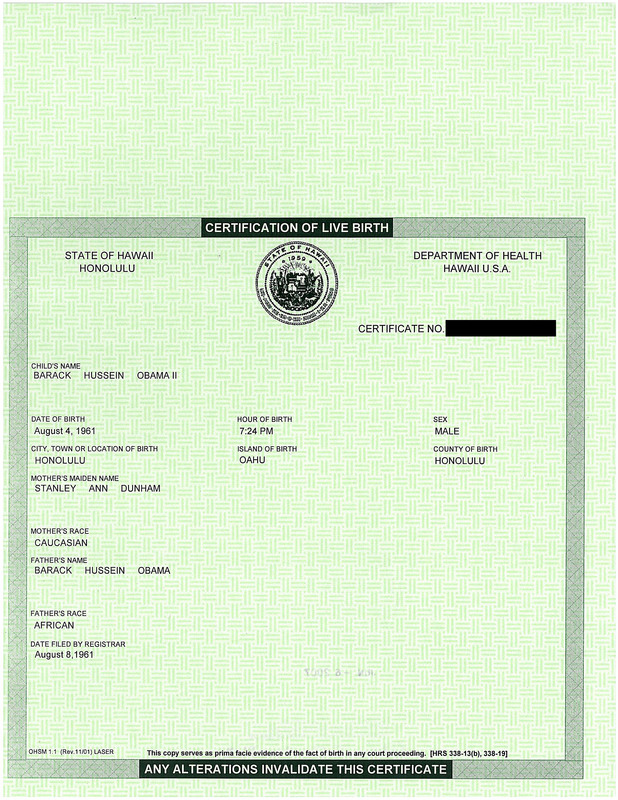 No certified copies were issued until the form itself arrived from the Hospital. I am speculating based on years of experience with these kinds of documents and having conducted criminal investigations for social security and medicaire (sic) in the earlier years of my career with SSA when SSN’s were not filed for soon after birth as they are now, etc. 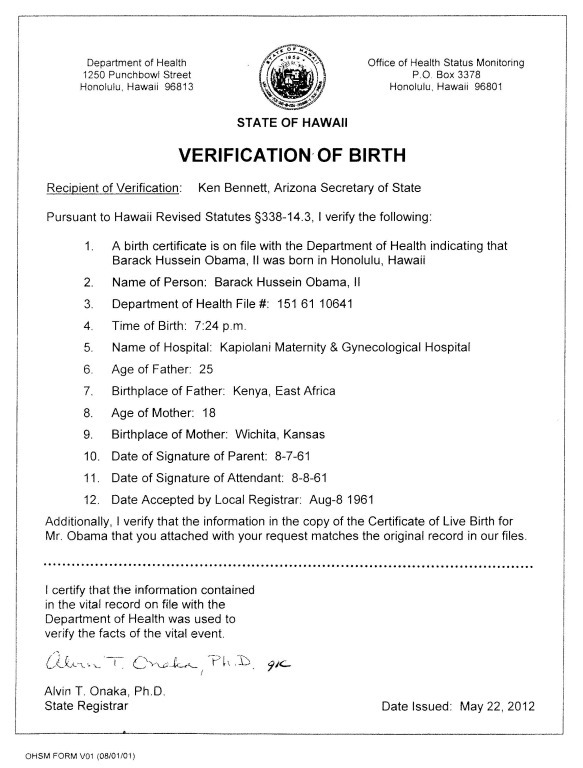 I also recall there were some kind of alerts about these Hawaii birth records and problems and there may be an old criminal investigation file in Hawaii and it was soon after 1961 the law got changed tightening security measures there. appears totally made up. At least I’ve never seen any such thing, and Adams doesn’t provide any sources. But birthers making stuff up, or being confused about what they know, is par for the course. BTW, “Topeka, Kansas” is an anagram of “sneak oak past” and “takes oak nap.” Ponder that! Work was shut down today at the construction site of a new headquarters for the Maricopa County Sheriff’s Office. ABC 15 News reports that the messages “BOMB INSIDE” and “NO WORK TODAY” were painted on the wall of the partially constructed building [photo and story]. Bomb-sniffing dogs alerted on a lunch box found on the second floor. 100-150 workers were evacuated. I used to work in a building that housed 3 radio stations, the FBI, the Internal Revenue Service, the Secret Service and a bank. There were so many bomb threats, that we finally stopped evacuating the building. Those were more peaceful times (not). Bomb threats, even spurious ones, are not funny, as will be found out if the perpetrator is caught. Sheriff Arpaio and the MSCO. of course, have made lots of enemies and some of them have good cause to bear him ill. See my article, for example, “Arpaio attacks enemies with questionable evidence.” That article references a lawsuit against the MSCO by a number of individuals, including a former judge, against whom it is alleged that Arpaio brought politically-motivated, trumped up charges. Last June, the Court ordered final entry of a settlement agreement in which the MSCO agreed to pay one of those plaintiffs, Wilcox, $975,000.00 in principal damages and $27,222.00 in attorney fees and $1,089.56 expenses. On April 26, 2013, MSCO attorneys notified the court that a settlement agreement had been reached with Plaintiff Donahoe, but does not state the terms reached.